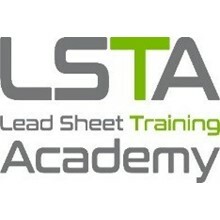 The Leadsheet Training Academy has been in existance for over 85 years and is at the forefront of technical training and expertise for those working in construction using lead and hard metals. We have created a state of the art, purpose built training facility in East Peckham, Kent. This includes full scale training rigs and resources as well as providing a well-equipped enviroment in which to lern as it recreates real-life situations. We will guide you through the vocational course and qualifications tht are available for those wanting to improve their skills and expertise. We have developed our range of courses over the years in response to the needs of installers and employers, offering a flexible approach to allow participants to get the most out of their training. If you have little or no experience of working with lead, candidates as first introduced to the basic welding and bossing techniques enabling them to then develop their skills through the four modules that make up the City & Guilds Accreditation Certificate. This can then be supplemented by the Advanced level Module 5. The LSA has also introduced a 18 month courses the Specialsit Applied-Skills Programme. (SAP). This leads to a QCF Level 2 Qualification and combines training in the workshop and on site assessment. However, our courses in leadwork extend beyond the development of hands-on skills, trainig. Short course and seminars are also available and delivered for the design professional.